The Adult CRiSis™ Manikin is a Complete Resuscitation System that presents challenges you may face in real-world situations with five major features allowing practice of several simulation scenarios. 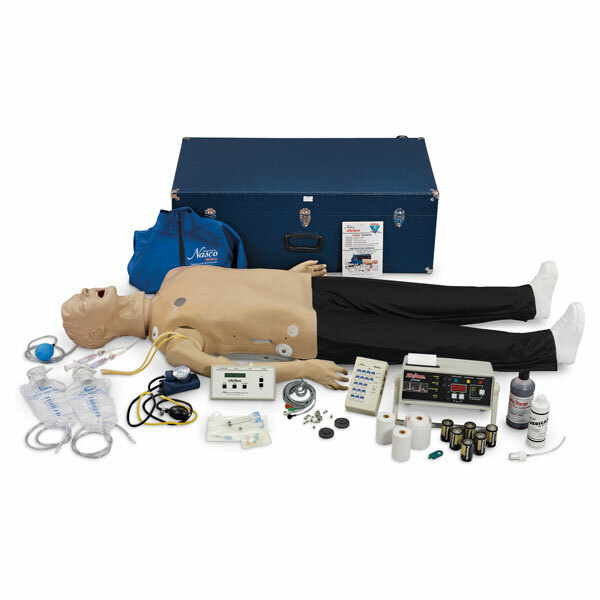 Manikin consists of an “Airway Larry” Airway Management Trainer Head, Blood Pressure Arm, Defibrillation Chest Skin, full body CPR manikin, and IV Arm. Ideal for ACLS, paramedic, EMT, and nursing training at every level. Modular components allow you to create a manikin to suit your needs. Also includes Laryngospasms (manual), Tongue Edema (manual), Interactive ECG Simulator, CPR Electronic Monitoring Printer, and Hard Carry Case.